Thuy is a graduate of Texas State University in San Marcos, Texas. While in school, she completed design internships in three diverse environments: Asterisk Group, Lance Armstrong Foundation, and Murillo Design. In addition, she has experience as a freelance designer working with both design firms and individual clients. She also worked as a junior graphic designer at BradfordLawton. 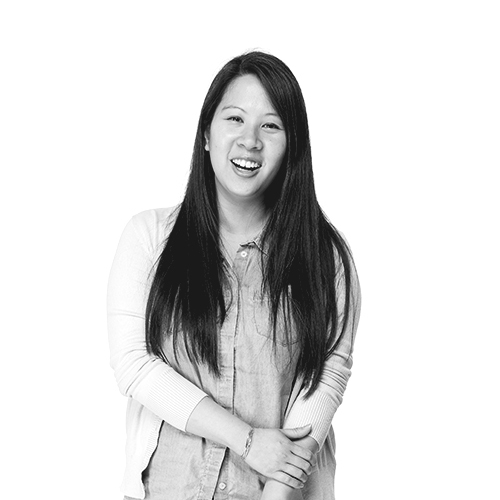 Currently, she is an Art Director for The Atkins Group. When Thuy is not designing, she is watching Pawn Stars. Asterisk Group, Corepoint Health, H-E-B Kids’ Market, Lance Armstrong Foundation, Murillo Design, Purple Telescope, Yoga YogaTED Talks, Jen Spencer Coaches, Blue Cast Mobile, Swirl: Creative Collaboration, Goodwill, Clarity Child Guidance Center, Ricos, Taco Cabana, AD2ATX and Courtenay McAlpin.